Calling all Nipponophiles, foodies and those with an incurable sweet tooth. 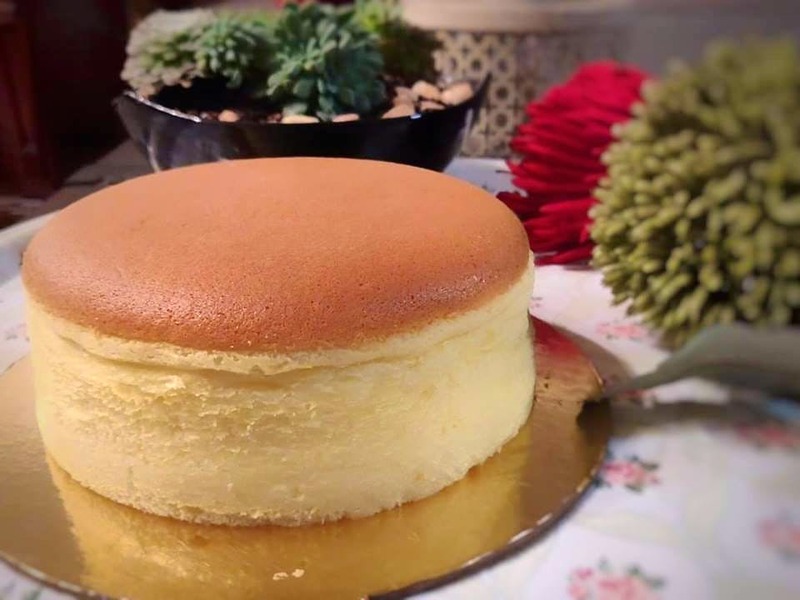 The glorious wobbly wonder of Japanese cheesecake has arrived in our city, and we have already placed our order! We're not gonna ask to raise hands if you have watched the Tasty videos of Japanese cheesecakes. Of course, you have because who haven't already! The videos have both tortured us and left us drool faced, forever wondering how delish would these light airy wobbly cakes taste. Thank God for Brown's, we are no more wondering and are simply now ordering. Yes! You read right. The Japanese cheesecake is now available in Kolkata, and home chef Vanita Tondon is acing it to perfection. Light, airy and not too sweet, the Japanese cheesecake is unlike the usual cheese-heavy overtly sweet ones. They resemble more like a pound cake, only more soft, delicate and whole lot jiggly. Vanita's cheesecakes are exactly the sort, and they come in 7 inches. You can also request for a bigger size, and can get them delivered to your place. A home chef who is trained in patisserie from Le Notre in Paris, Vanita also makes other specialty desserts like fruit entremets, macarons (lavender, lemon, mint chocolate, red velvet), different kinds of brownies (mint-chocolate chip, fudge, peanut butter) and tarts. You can also order breads like brioches, sour dough and pita from her. The cheesecakes are priced at INR 1,000. The loaves of bread start at INR 250, macarons at INR 70, pound cakes at INR 800, brownies at INR 800 for 9 pieces and gateau at INR 1,500. You have to place your order at least 48 hours before delivery, and during festivals at least a few more days ahead. Instant cravings has no remedy. You can go pick up your order from her place or can pay an extra charge and she will deliver it to you.